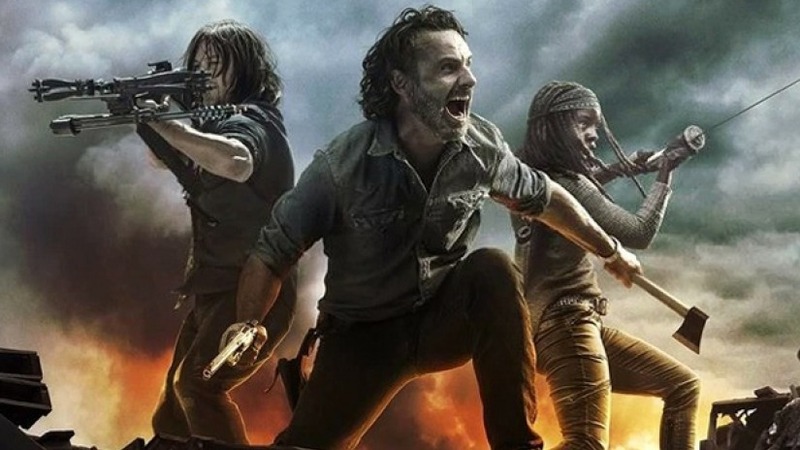 The Walking Dead deciding to kill Carl Grimes was a shocker to fans and cast members alike, with Chandler Riggs' father now opening up about what really happened during Season Eight's production. Back when The Walking Dead first aired Episode 8x08 in December of 2017, the world learned Riggs would exit the part of Carl Grimes. The young actor had played the part from the age of ten through eighteen and recently committed a couple more years to the series with a new contract. However, showrunner-at-the-time Scott Gimple had other plans, which Riggs' father William opened up about emotionally in a Facebook comment section. The comments have since been deleted but William Riggs has now decided to clear the air, given the constant speculation about what really happened with Riggs' exit. "Just to clarify once and for all: Chandler didn’t want to leave the show," William Riggs said in a Facebook post on Satrday. "He had been accepted at [Universiy of Georgia], and would complete school while working (online when filming) as he had done high school for the last 8 years. Scott Gimple personally called him and said on a conference call in April that they needed him for 3 years. Chandler agreed to a 2 year contract, which was typical. 1 year guaranteed and the next one at their option, which was also typical. He signed the deal, graduated from high school and went back to work. He bought a house near the set and enrolled at UGA so that he could be close to work since we had been commuting nearly 2 hours each way all these years. It was the middle of June, his 18th birthday was coming up in a couple of weeks, 5 episodes were filmed, and they asked for my wife and I to both be at a meeting with Chandler- which was a little odd. It made me nervous but he and his manager assured me it was to plan for filming schedule, etc. Scott Gimple was the only one there and he told us that Carl would be gone in a few episodes. Chandler was absolutely devastated. I was disappointed Scott had been dishonest with a 17 year old making life decisions and waited to tell us. After it aired, I was asked to comment on how I felt. I did, maybe shouldn’t have. 3 hours later AMC asked me to take the comment down- which I did- 6 hours later TMZ called and wanted me on and I declined. None of it has ever really been about me. Don’t know why anyone would say anything about me- but that’s ok- teaching Chandler to disregard negativity came with the deal so I can do it too lol. I never made it difficult for my son, our family had to work together to make it possible for him. Extremely grateful for the opportunity and 8 great years; as a parent I felt Chandler had earned better treatment, but that’s the biz. Unkind timing." William Riggs seems to be more at peace with the decision to remove his son from the AMC series now but the details of the exit are brand new and quite shocking. The actor has since moved to Los Angeles to pursue both acting and music but had a contractual option to be on The Walking Dead in its current season. With Season Nine of The Walking Dead having said goodbye to Andrew Lincoln and his Rick Grimes character, it is possible the decision to remove Riggs was one based on knowledge of Lincoln's exit. A narrative would have been required to either find a way for Carl to leave with Rick in Episode 9x05 or possibly make Riggs the leader of the AMC series' cast as his character would have been required to step up in major ways with Rick off the scene.